Painting: "A Window Into Memory"
As I've mentioned before, multiple times, I enjoy painting and visiting ruins. They've always been so evocative. 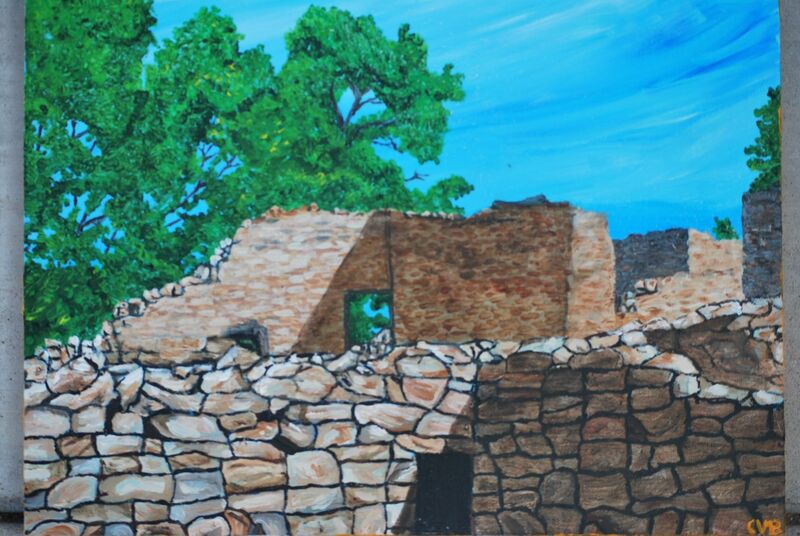 This painting is based on a photograph I took at Aztec Ruins National Monument, in New Mexico. I loved how the layout of the walls lead the eye to the window, where you could see a piece of sky and the cottonwoods behind the Chacoan pueblo. As you can see, this imagery also lends itself very well to my own unique impressionist style. Acryllic on canvas, of course. The Client who commissioned this piece is planning on hanging it in their spacious kitchen, and they are further contemplating ordering an additional piece in the future for their bedroom, which is yet to be determined.